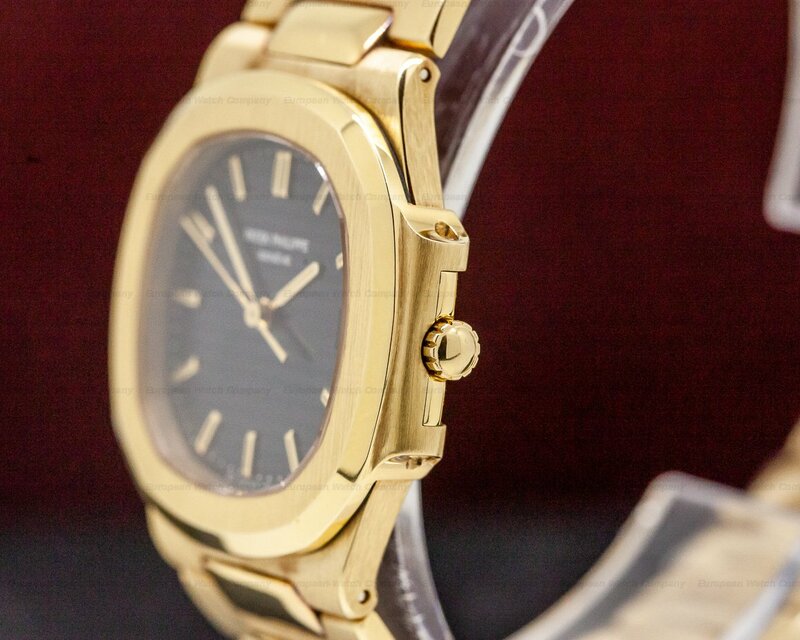 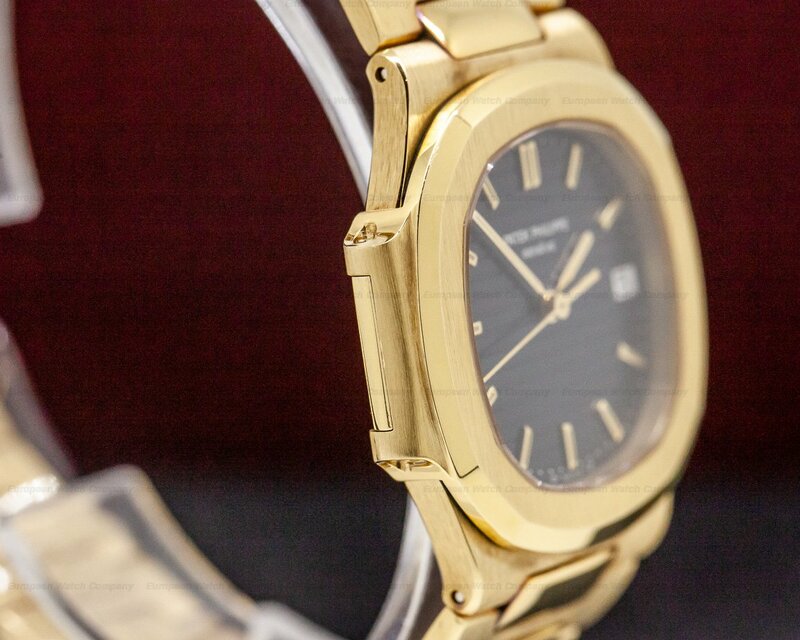 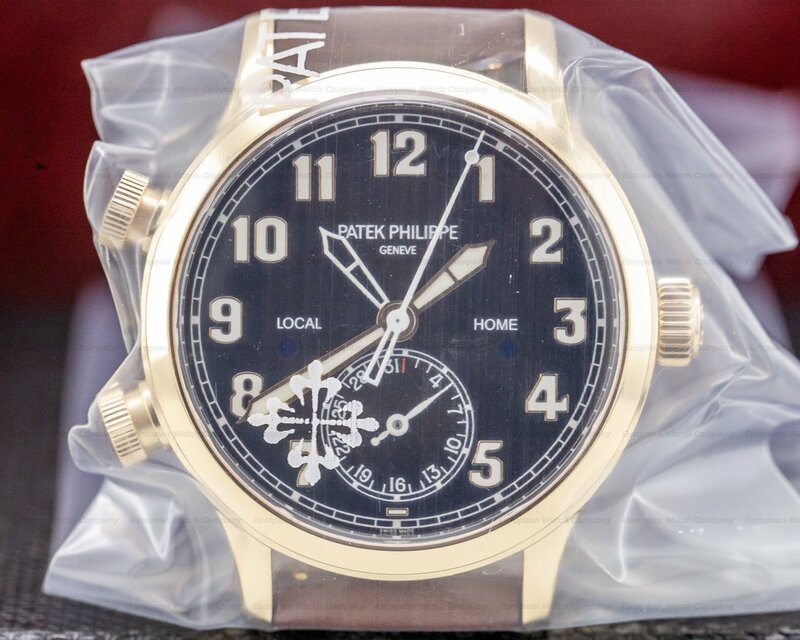 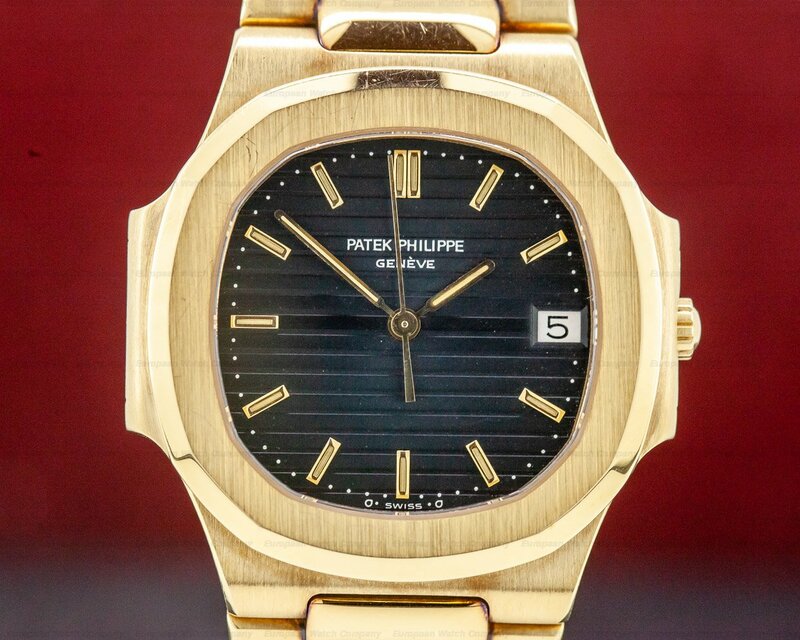 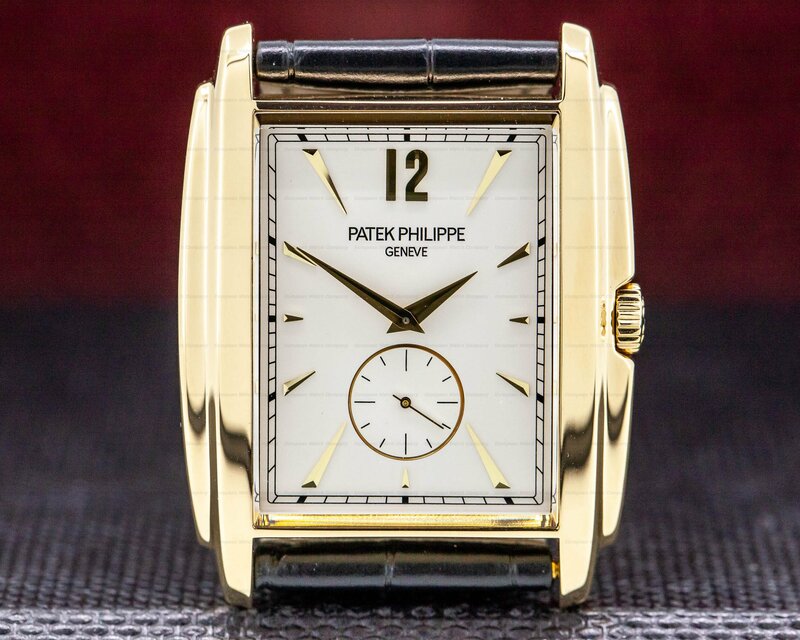 This is an 18k yellow gold Patek Philippe Nautilus Mid Size 3900/001. 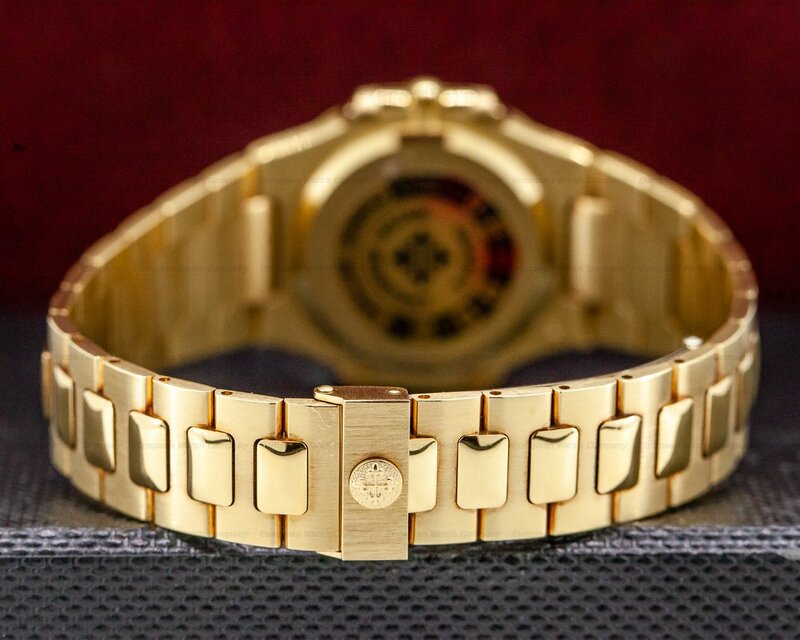 It has an integral 18k yellow gold link bracelet with a folding deployment clasp, and a scratch resistant sapphire crystal. 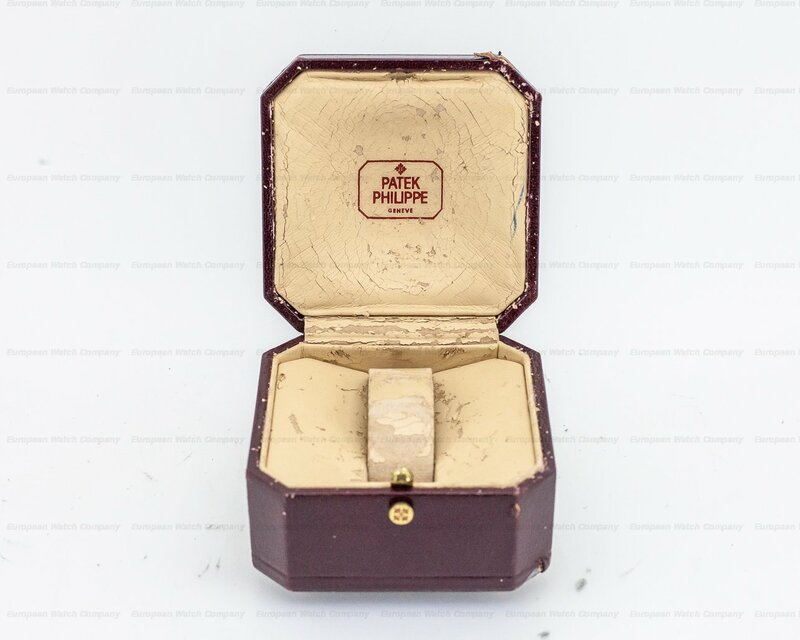 It has a screw down winding crown with a partial crown guard, and there is a solid screw down case back with the original case back sticker still intact. 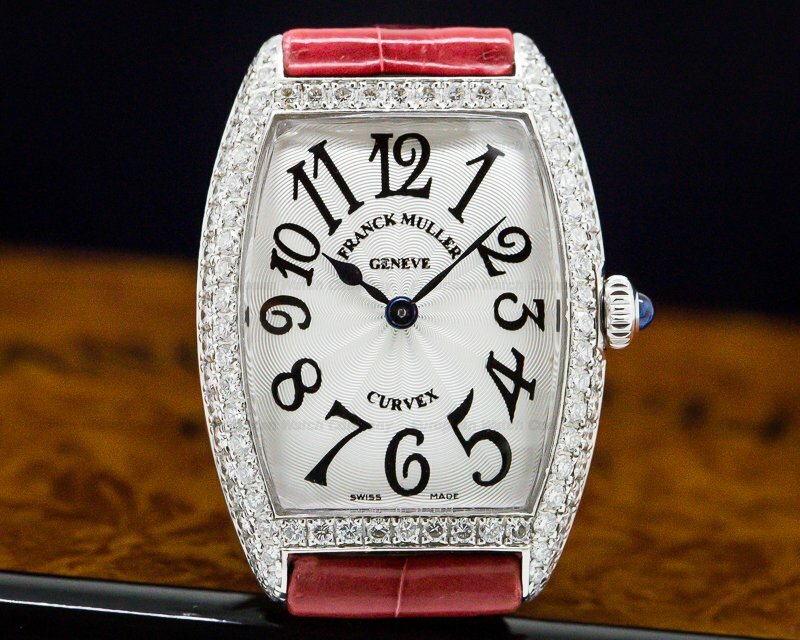 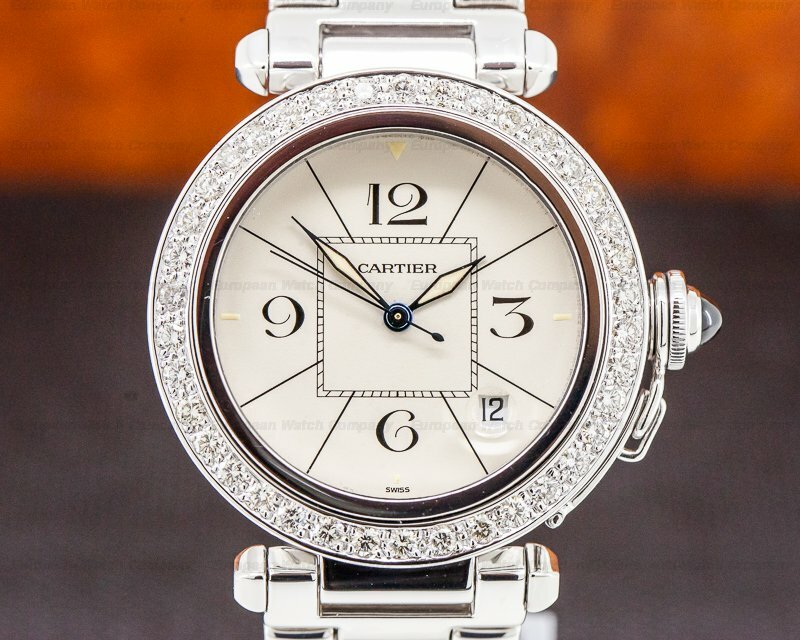 The 32mm by 35mm solid two-body cushion-shaped case, hooded lugs, bracelet, and flat octagonal bezel, are polished/brushed. 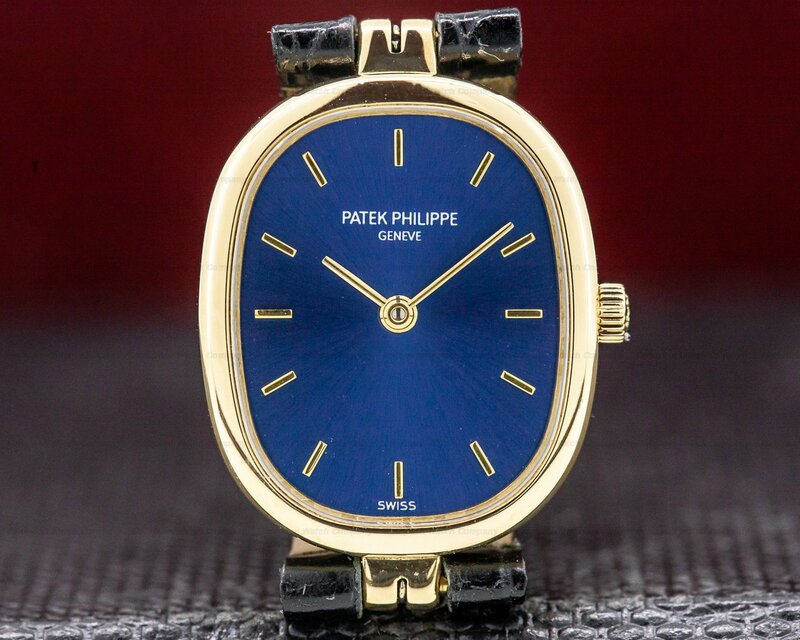 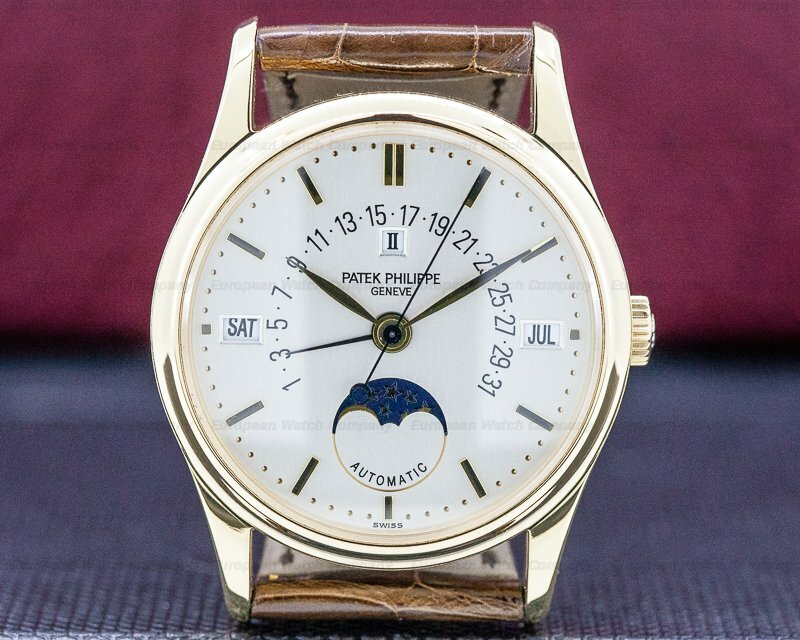 The dial is deep blue with an embossed horizontal strip, and applied gold baton hour markers with luminous inserts, around a perimeter gold dot minute/second scale. 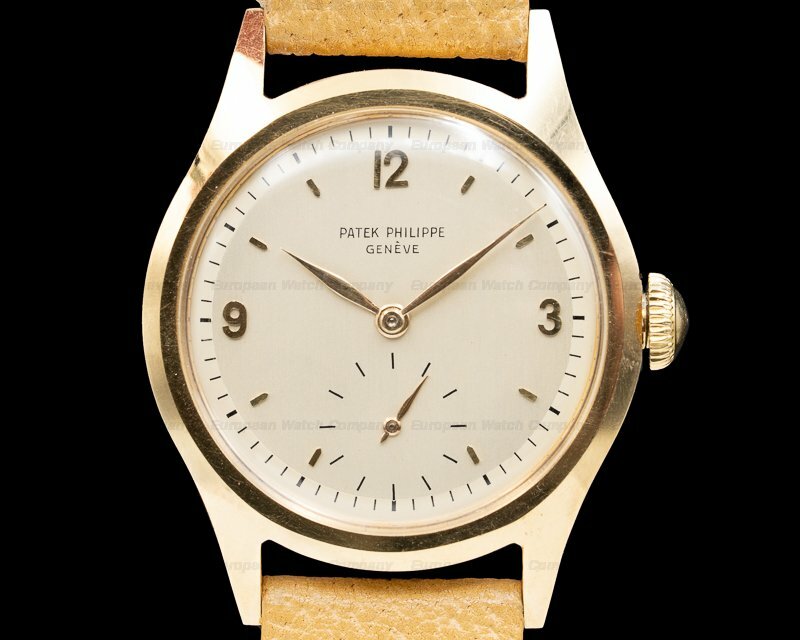 It has gold baton hands, a center sweep seconds hand, and there is a date aperture window at the three o'clock position. 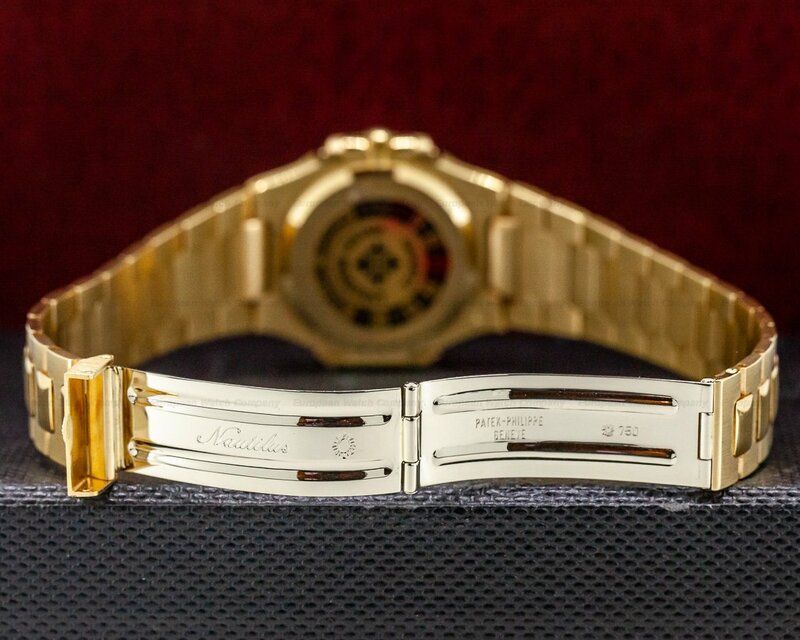 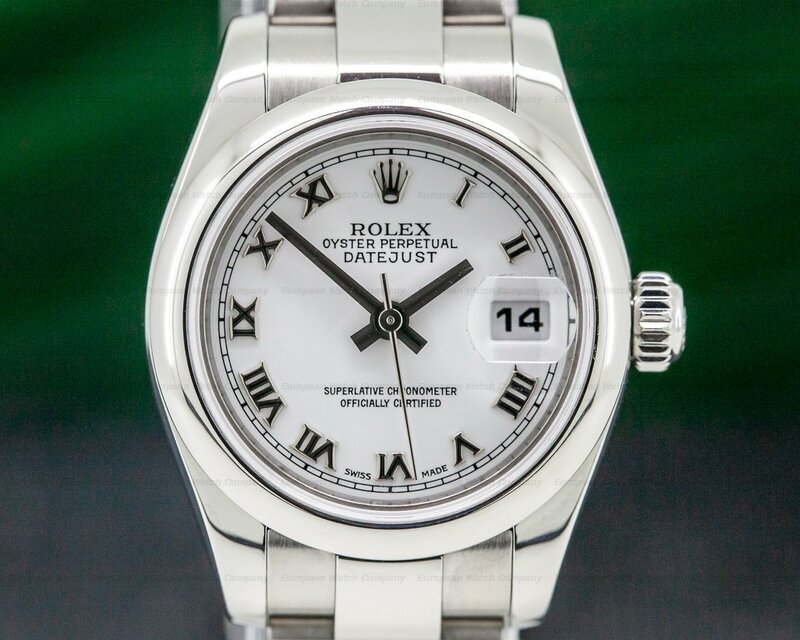 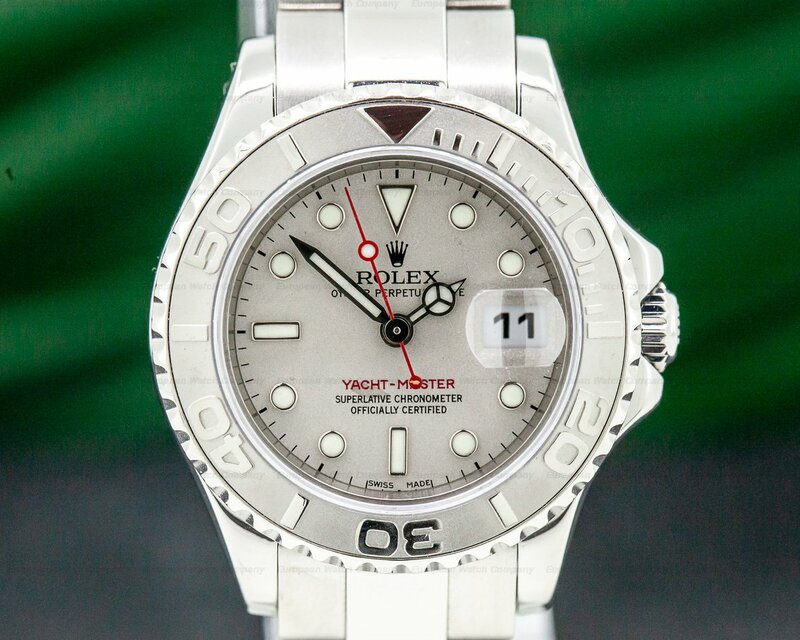 It's water resistant to 120 meters/390 feet, and the 7mm thick case, dial, and movement are all signed. 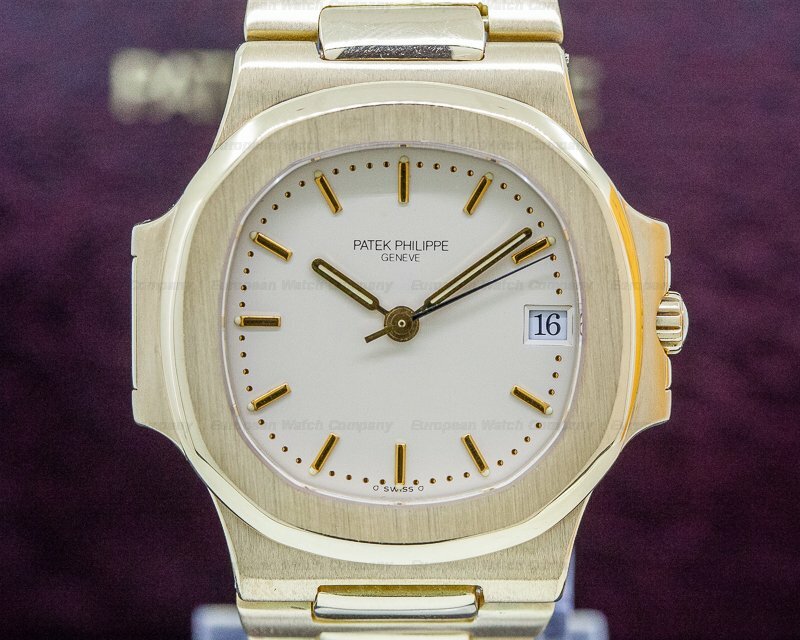 This Patek Philippe Nautilus Mid Size 3900/001 has an electronic Patek Philippe caliber E23 SC quartz E 23 SC movement, with a 1.55 V silver oxide quartz battery with quartz standardization. 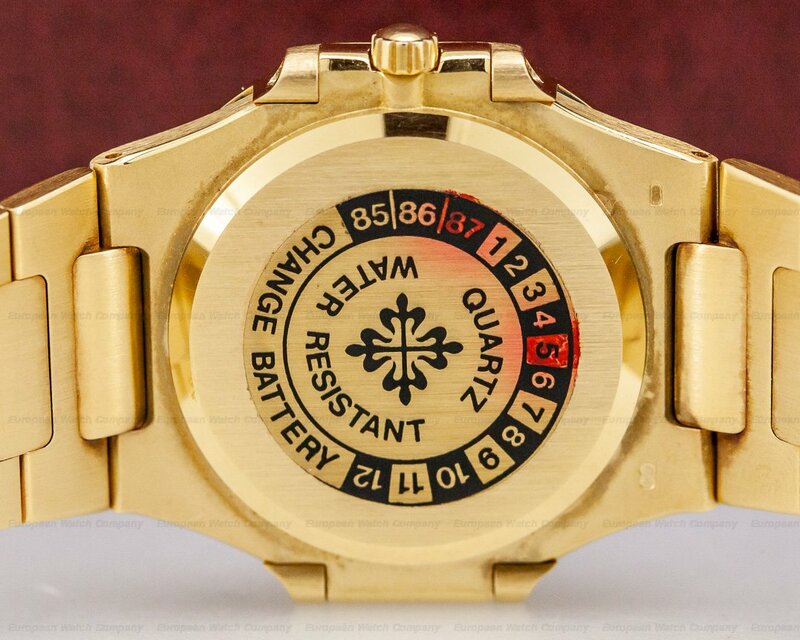 It's constructed with 7 jewels, 80 components, and oscillates at a frequency of 32,768 vph (Hz). 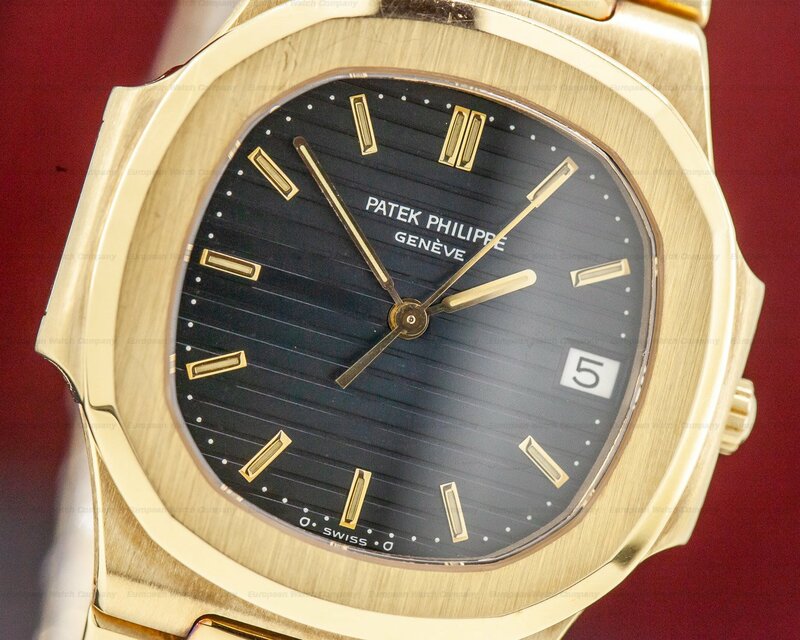 The Patek Philippe Nautilus Mid Size 3900/001 was introduced in 1976; this watch is in the outstanding original condition, as was worn a handful of times.